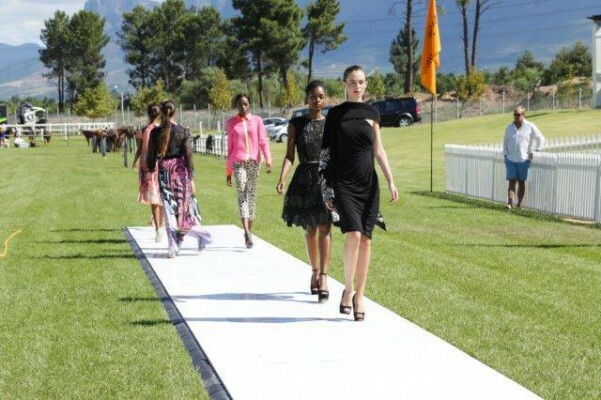 The Veuve Clicquot Masters Polo Cape Town 2014 sets a new benchmark as a world class luxury event in South Africa. 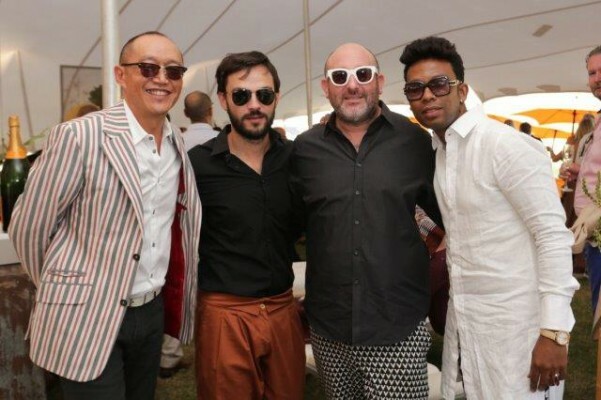 Synonymous with flutes of champagne and exquisite couture fashion, guests of the fourth annual Veuve Clicquot Masters Polo 2014 attended this past Saturday, 01 March 2014, what has now become South Africa’s most exclusive polo event on the annual social calendar. 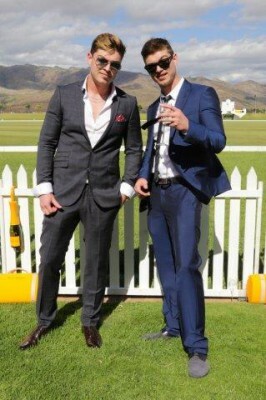 With notable VIP’s in attendance such as The Minister of Sport Fikile Mbalula and world land-speed record holder Andy Green, along with local celebrities Jeannie D, Jen Su, Dion Chang, the Locnville twins, Tracey Lange, Cindy Nell, Jimmy Nevis, Tanya van Graan, international super model Katryn Kruger and fashion icons David Tlale, Malcolm Kluk and Christiaan Gabriel du Toit, Veuve Clicquot’s one and only polo event on the African continent, has truly grabbed the attention of an international audience this year. 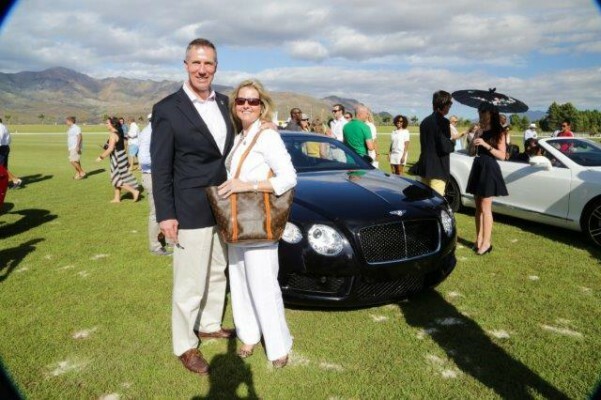 In keeping with tradition, Bentley was both Associate Sponsor and Official Vehicle Partner at this year’s Veuve Clicquot Masters Polo 2014 and hosted the world land speed record holder, Wing Commander Andy Green as their special guest in their VIP Lounge. Showcasing their flagship luxury performance automobile, the Bentley Mulsanne as well as their recently launched Bentley Flying Spur, it was the new Bentley GT Speed convertible parked side by side with two rare Bentley Blowers on the day which stole the show. 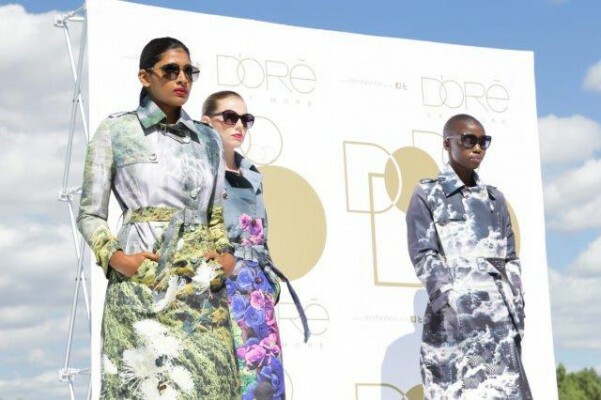 D’Oré, the Official Fashion Partner for the day, showcased some of the world’s top luxury fashion brands such as Emilio Pucci, Escada, Cavalli, Armani Collezione, Rupert Sanderson, Elie Tahari, Herve Leger and Vanessa G in a quintessential runway show. 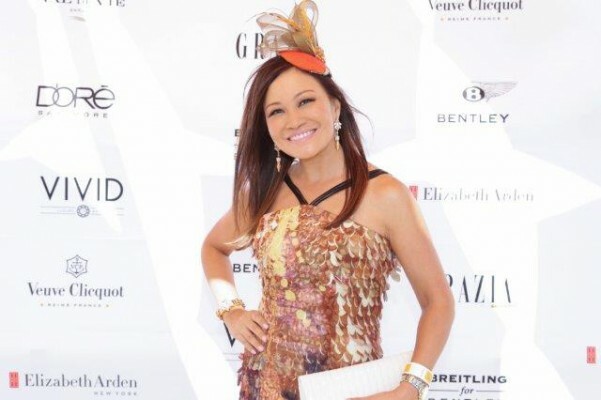 Global prestige Beauty Sponsor, Elizabeth Arden Inc. kept guests of the annual Veuve Clicquot Masters Polo 2014 beautified all day long. With Elizabeth Arden ‘Beautiful Colour’ touch-up stations and their team of expert makeup artists, guests were treated to a truly prestigious beauty experience. Committed to the concept of holistic beauty, Elizabeth Arden ensured everyone was beautiful from the inside out with a Prevage anti-oxidant bar on the day for guests to enjoy. 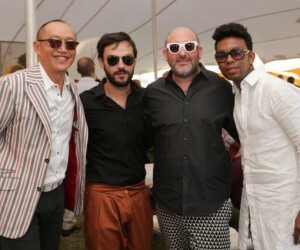 Official Time Keeper for the polo, Breitling for Bentley, showcased a timeless collection born from a cross between the grand art of British car making and the finest Swiss watch making traditions. Avouching a new art of living, Breitling for Bentley is the most trusted when it comes to their unique blend of elegance and performance, power and style, sportiness and refinement. 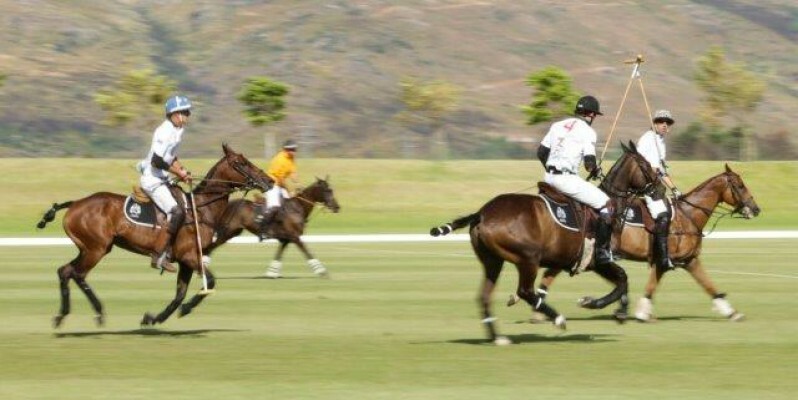 More than any other sport, polo is best savoured live with all eyes fixed on the games of polo played on the day. 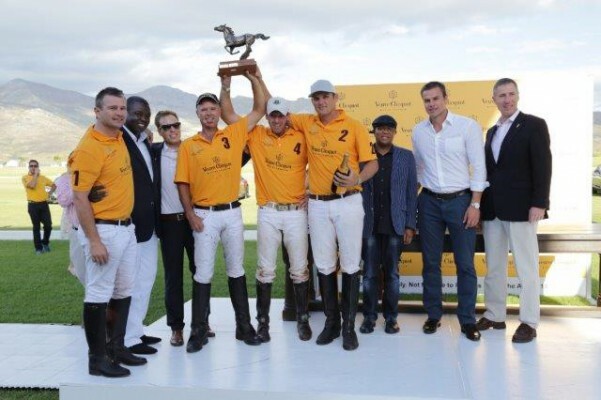 With an added opening exhibition match, a first for the tournament and the final 8-goal tournament comprising of top local and international players, play was organised by HRH Prince Malik Ado-Ibrahim of Nigeria and saw the day’s nail biting finish with winning team Veuve Clicquot, captained by Johan du Plooy, narrowly beating team Nigus with a 6/5 victory.